In February, the PIT BULL™ non-alcoholic energy drink line added a new fruity SKU with an explosive citrus accent – PIT BULL X. The new drink has a pronounced orange flavour, which overwhelms the taste buds with freshness, and a trendy minimalistic design with a colorful sea-green splot – a bright brushstroke against the background of everyday life. PIT BULL X is available in a new modern format – an aluminum can of 0.25 l. The convenient to-go packaging is most popular among young people who lead active lifestyles. The intriguing name of the new energy drink is not accidental – it leaves a lot of room for the consumer to make individual judgment. “The consumer of PIT BULL™ is a strong original person with their own aspirations and independent worldview, who does not recognize authority and does not tolerate dogmas. Therefore, what X stands for is that everyone is free to decide for themselves, for it is not accidental that in mathematics, X is an unknown variable. X can symbolize an independent search for the boundaries of the unknown, without external prompts or leads. X can be a clash of opinions, a battle of worldviews, where only honest personalities will find a point of contact and mutual respect. Or maybe X is just the center of attention, like an intersection of the rays of spotlights where a bright personality falls against the background of gray industrial everyday life”, – contemplates Elena Selutina, PR Director of New Products Group. Today, Ukraine is among those countries where the energy drinks market remains “young and energetic”, showing an almost exponential growth. PIT BULL™ is one of the undisputed leaders in this segment. The brand has been on the market since 2011, and occupies one of the key positions in the portfolio of New Products Group. The market share of the drink is growing from year to year, gaining popularity and loyalty of the consumer. In the last year alone, the sales of the drink have increased by almost 2 million liters, and since 2014, it has more than doubled: from 6,9 to 14,9 million liters. The PIT BULL™ brand accounts for 24% of all energy drink sales in Ukraine. At the moment, the PIT BULL™ line is represented by the classic PIT BULL™ ENERGY DRINK with wild berry flavour, and a special release PIT BULL™ BATTLE with an unusual flavour combination of barberry and guarana. 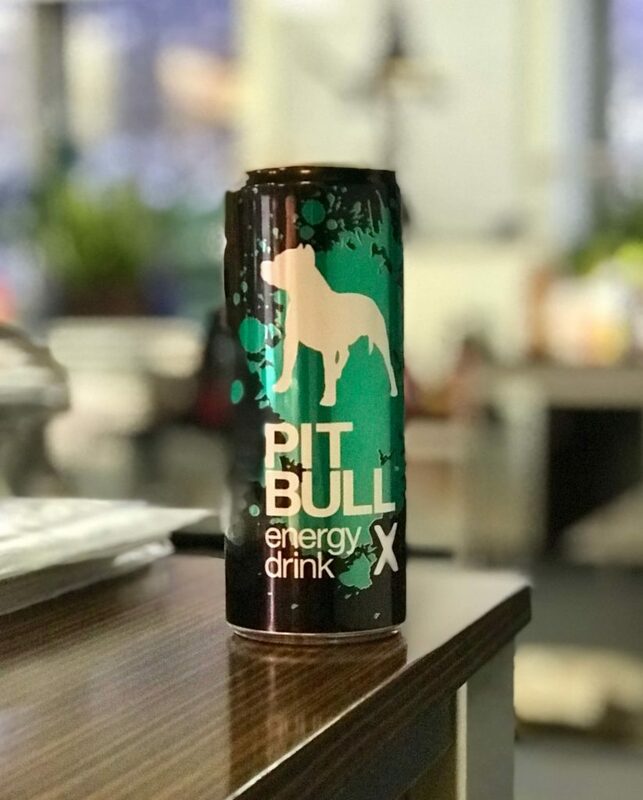 The new PIT BULL X, developed by the experts of New Products Group, is a non-alcoholic, highly carbonated energy drink with a high content of caffeine and taurine, which provides a fast influx of energy, stimulating the metabolic processes in muscles and tissues, and a vitamin complex B5, B6, B9 – a useful natural source of energy. The new SKU PIT BULL X will appear on the Ukrainian store shelves in March. The new drink will have a democratic price of 8.5 UAH.